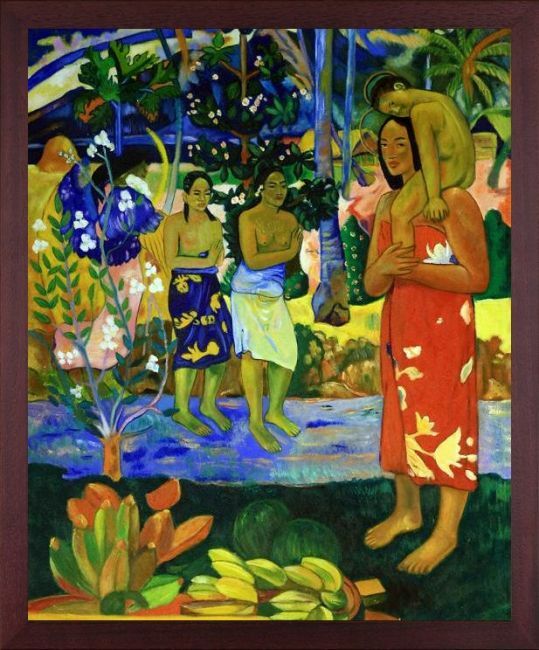 Paul Gauguin once wrote that he considered this painting, Orana Maria from 1892, his best work since arriving in Tahiti. 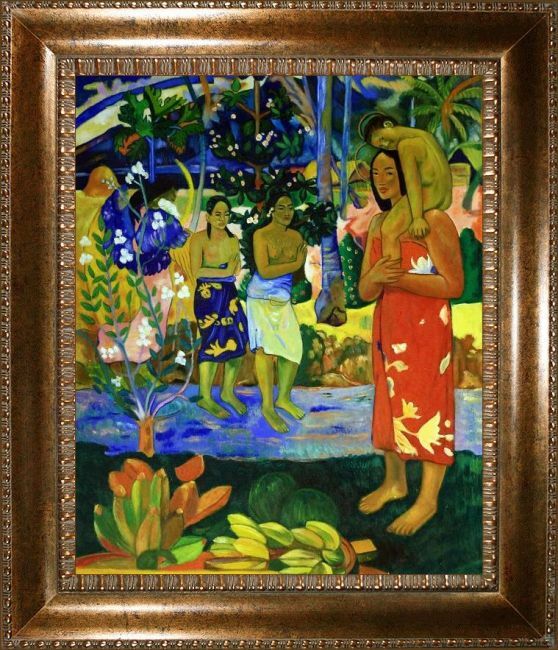 Born in Peru but raised in France, Gauguin would produce many paintings of his time spent in French Polynesia. 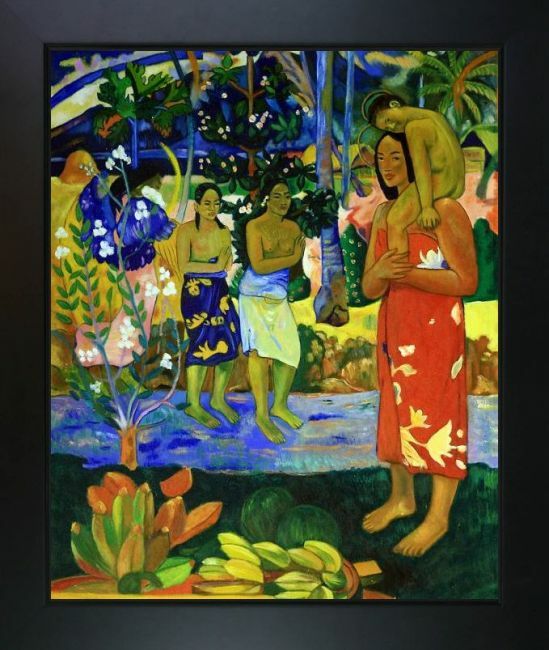 Despite a less than idyllic life there which would lead to his eventual death, his scenes of an idyllic and exotic paradise enrapture viewers to this day. Combining the visual vocabulary and mythologies of native people with his own Western imagination, this work reveals a particular synthesis of cultures. 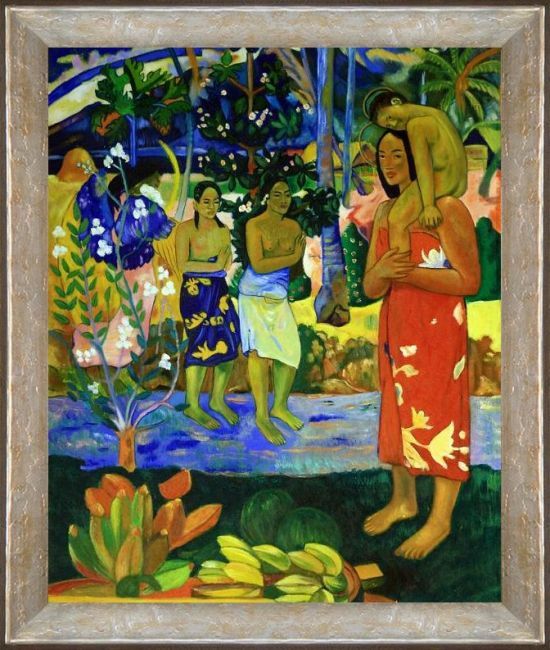 The Christian imagery of the gold-winged angel opposite the Tahitian Madonna and Child are set in a tropical paradise, complete with appropriate flora and fauna. 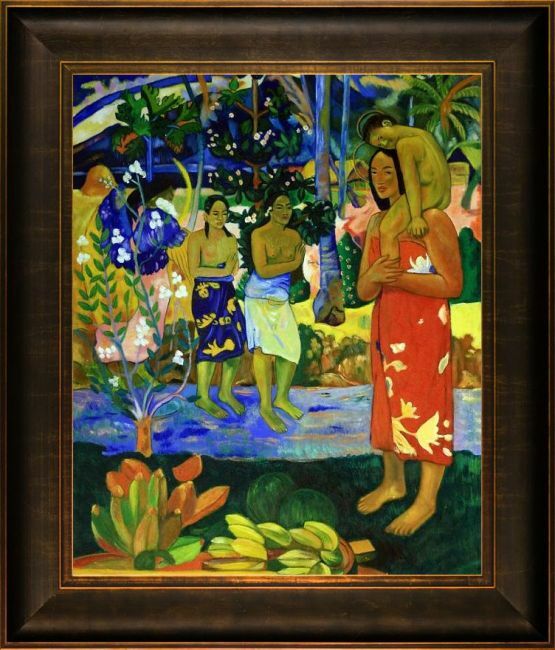 For any lover of Gauguin or island cultures, this precisely made reproduction will be sure to excite. Color Palette for Orana Maria (We Hail Thee Mary), 1891 is empty.